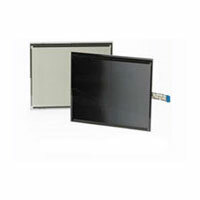 Touch Screen Middle East supplies a variety of touch screen components for custom-built applications. Please contact us with your requirement and we will be glad to advise on the best solution for your specific application. 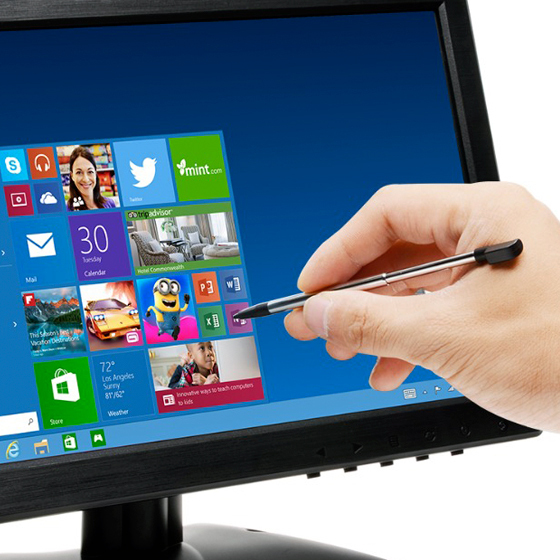 TouchPen supports both finger touch and pen input on a ClearTek™ sensor. 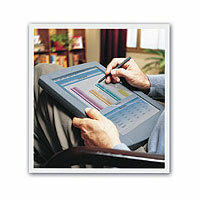 The tethered stylus supports handwriting recognition, signature and data capture, annotation, and gloved-hand use. With TouchPen you can select from dense menus or work with detailed images too small to touch with a finger. A hand resting on the screen while writing is ignored through capacitive digitizer technology, which intelligently distinguishes between pen and finger touch. For further details please refer to TouchPen document. 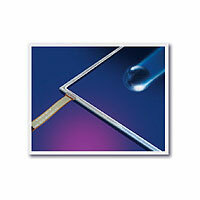 ToughTouch is a ClearTek™ sensor with a layer of strengthened glass laminated to the back. ToughTouch provides increased impact-resistance for flat sensors in industrial, unattended, or vandal-prone environments. 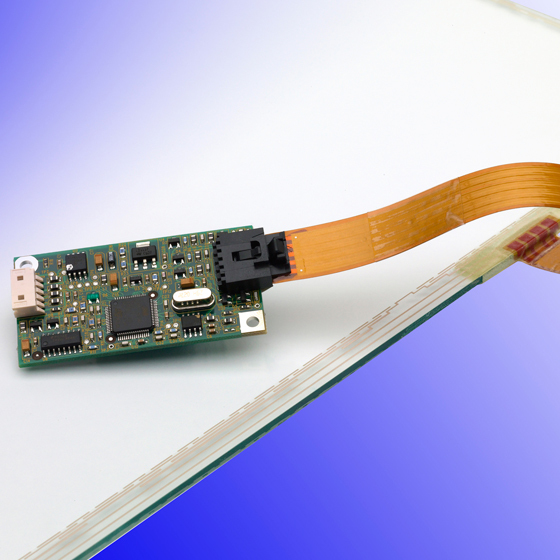 ToughTouch offers the same level of performance and contaminant-resistance as a ClearTek™ capacitive sensor with added impact resistance. For further details please refer to ToughTouch document. Privacy sensors employ a light-filter that ensures that only the user directly in front of the screen can read the information displayed - to any bystanders the screen appears as black. This provides increased security for ATM machines, bill-payment kiosks and any other application where confidential information needs to be input or displayed. 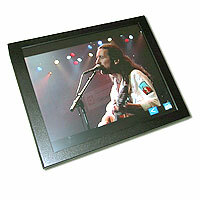 For further details please refer to PrivacyTouch Document. For particularly harsh environments, such as controlling equipment on oil rigs or factory shop-floors, we can supply IP66 rated displays. 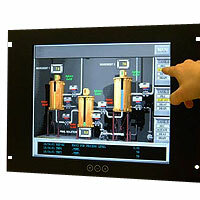 These are panel-mounted touch screens sealed into a housing which is impervious to the ingress of water or other liquids. 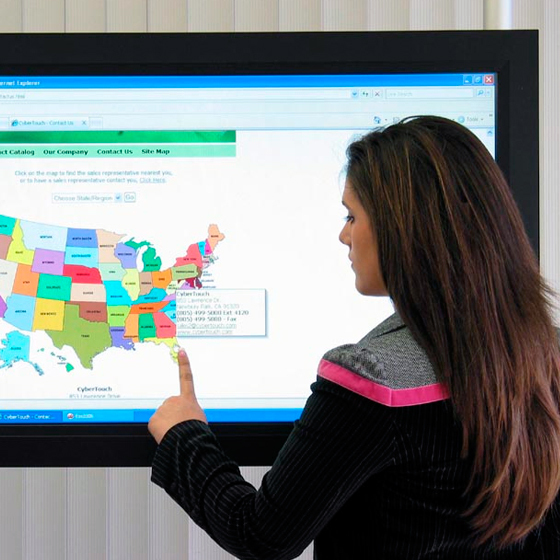 For outdoor applications such as parking meters, telephone kiosks or portable field equipment, we supply touch screens integrated with a high-brightness, (up to 2,000 cd/m2), LCD panel that is viewable under direct sunlight.